Red Rock Chiropractic Center is a state of the art facility that provides primary care and chiropractic services to people of all ages. Since opening in 2000, the practice continues to grow in patient numbers, number of services and collections. 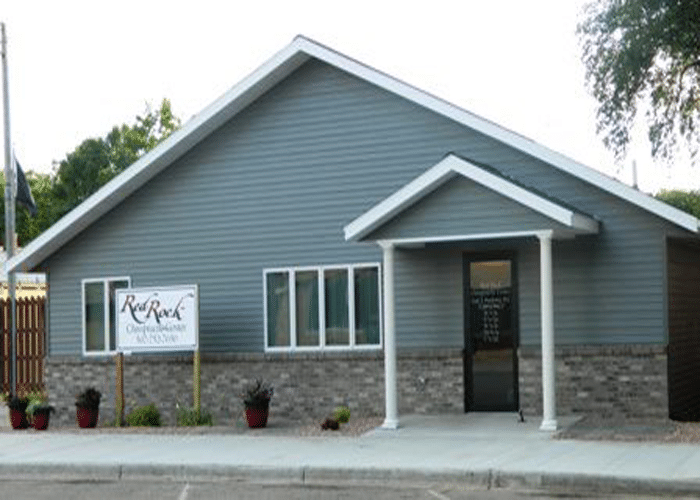 Red Rock Chiropractic Center offers integrated and expanded health services including traditional chiropractic care, exercise and rehabilitation, physiotherapy, traction and nutrition. Dr. Kyle and Kari Pankonin obtained a SBA 504 loan to construct a larger clinic for their growing and expanding Chiropractic Center in Lamberton, Minnesota. With this new clinic, it has increased total patient visits per week, increased the ability to offer in-office rehab for patients, the ability to treat more children with the addition of the child-friendly treatment room, and display more products such as nutritional supplements, pillows, orthotics, braces and topical analgesics for retail sale.